Next year, European Adventurer of the Year, Louis-Philippe Loncke will lead an expedition across Australia’s Simpson Desert. If you’re ready to accept the biggest, life-changing challenge of your life, he wants you with him. Have you ever wanted to go on a real expedition? Walk where no other human beings have? Go on a genuine adventure, where success depends on the team, and where reaching the final destination isn’t a certainty? 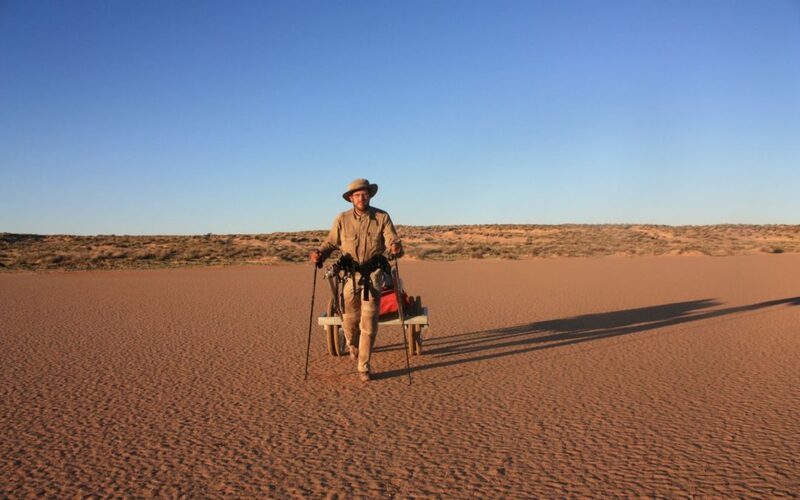 Belgian explorer Louis-Philippe Loncke holds many world firsts, but perhaps the greatest of them all is that he is the only person to reach the geocenter of the Simpson Desert, the most arid desert in Australia. Twice. On foot. Now, he’s planning to be the guide on a unique expedition for 5 adventurers. 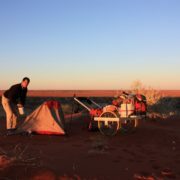 As much a journey of self-discovery as a discovery of uninhabited Australia, you will walk a minimum of 280km, hauling your supply cart cart with you, dune after dune, from dawn to dusk. On the way you’ll encounter camels, dingoes, the occasional deadly snake (you’ll steer clear of those), and many lizards, birds, emus and kangaroos. Starting from the historical station of Old Andado in Alice Springs and ending at Poeppel’s Corner, the border mark between the states of Queensland, South Australia and Northern Territory in the famous outback town of Birdsville, you’ll discover a landscape so harsh and remote that even aboriginal people left this desert over a century ago. It’s not for the fainthearted – and that’s not advertising hyperbole. Athletes have been known to attempt the crossing and have failed, but providing you meet the criteria below, and under Louis-Philippe’s guidance, you’ll enjoy an epic experience. End of June 2018. Expected duration 14 days. You’ll be aged between 30 and 55 and have a BMI rated ‘normal’ (although you should expect to lose a few kgs on the journey). You’ll be an experienced trekker, able to walk 12-14 hours per day. You’ll be required to commit to training at home for at least 3 months in advance of the trip, to strengthen your muscles and tendons, and build stamina. “Reaching the geocenter of the Simpson Desert is a bit like reaching the Mount Everest of Australia, except that whilst you can conquer a mountain top, you cannot conquer a desert. Unlike mountain expeditions you will not spend most of your time waiting in a tent to acclimatize. Instead, you will haul, eat, work hard to progress each day and at the end, you and all the participants will not be the same again. You will, though, have time to explore and take photos. 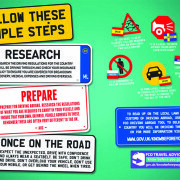 “All possible safety measures will be put in place, but any adventurous expedition has risks, especially one of this nature. Success is not guaranteed and I will need every member of the team to commit to the training to maximise our chances of success. Applications should begin early February 2018. Louis-Philippe Loncke is an explorer, adventurer, project consultant, speaking coach and entrepreneur. His travel bug began in 2002 when he was sent to Singapore for work and started scuba diving. Two years later he began the first of his numerous Australian travels, walking 2000km and diving 100 times. 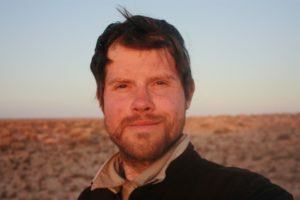 Having completed 15+ expeditions, including two crossings of Australia’s Simpson Desert, Louis-Philippe was awarded “European Adventurer of the Year 2016”. When he’s not travelling he gives motivational speeches and presentations about his travel adventures. 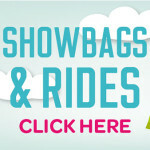 What's On In Adelaide In September 2015?